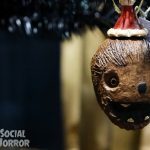 For years there’s been that trend of “Christmas in July,” but horror fans all know the cheery faces of elves, the sounds of carols, and sparkling snowflakes is just really annoying. 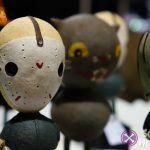 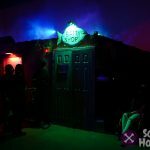 Halloween has always struggled to get what’s due, and if you haven’t felt that distant tingle of spookiness in the air already, last weekend, Midsummer Scream kicked off the coming Halloween season with their second summer Halloween convention in Long Beach with the joyous sounds of screams and horror delights. 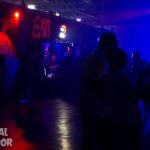 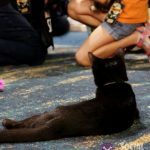 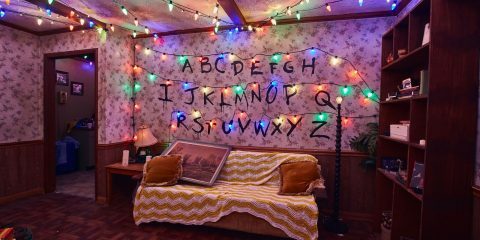 Their first year brought the popular themed Halloween convention model into a celebration that glorified the holiday in all the right ways. 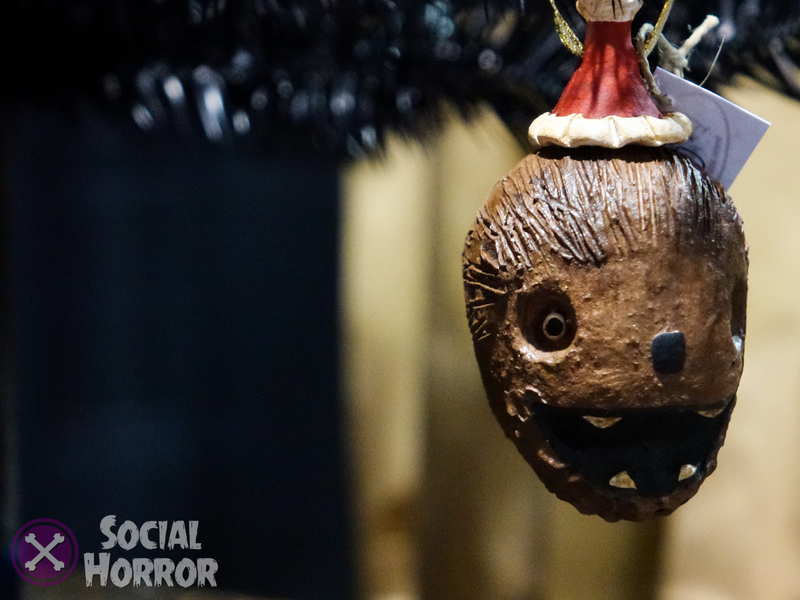 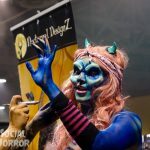 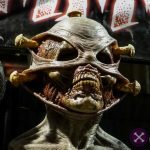 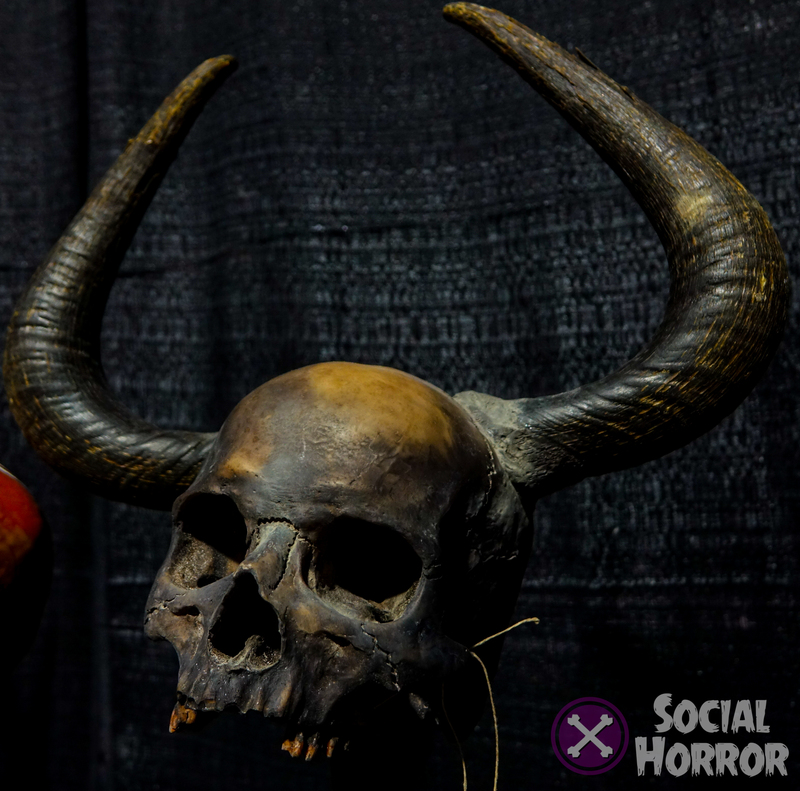 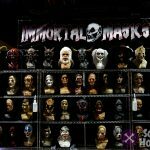 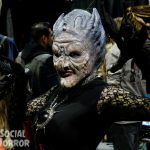  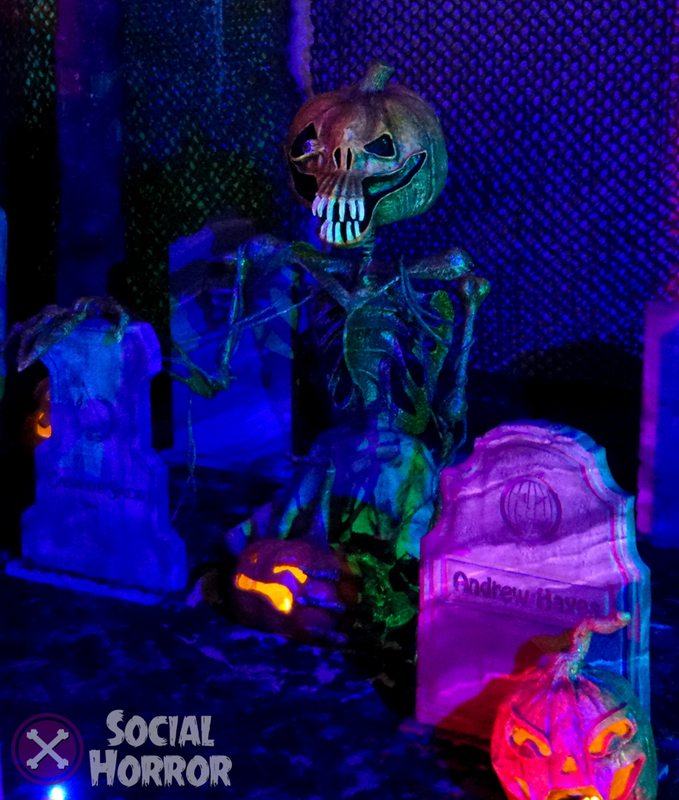 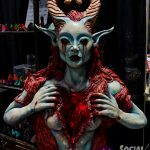 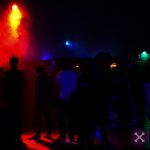 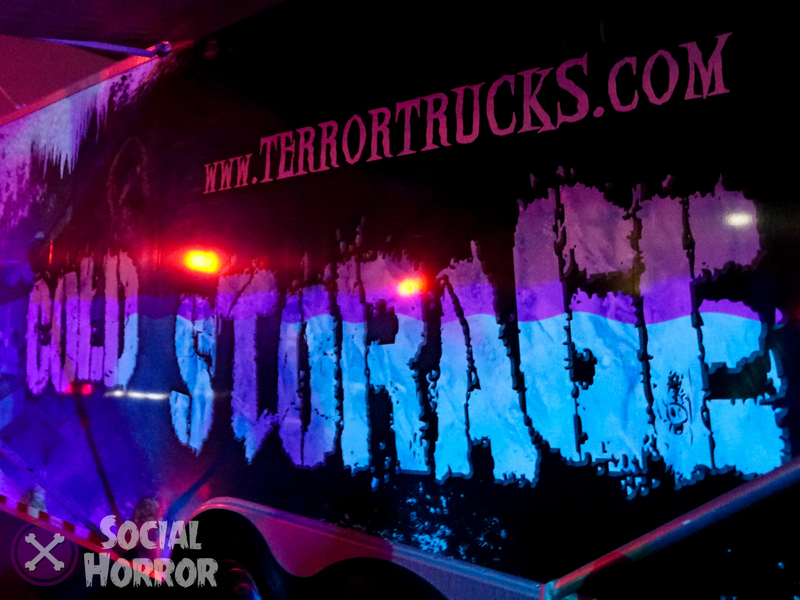 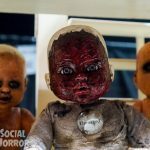 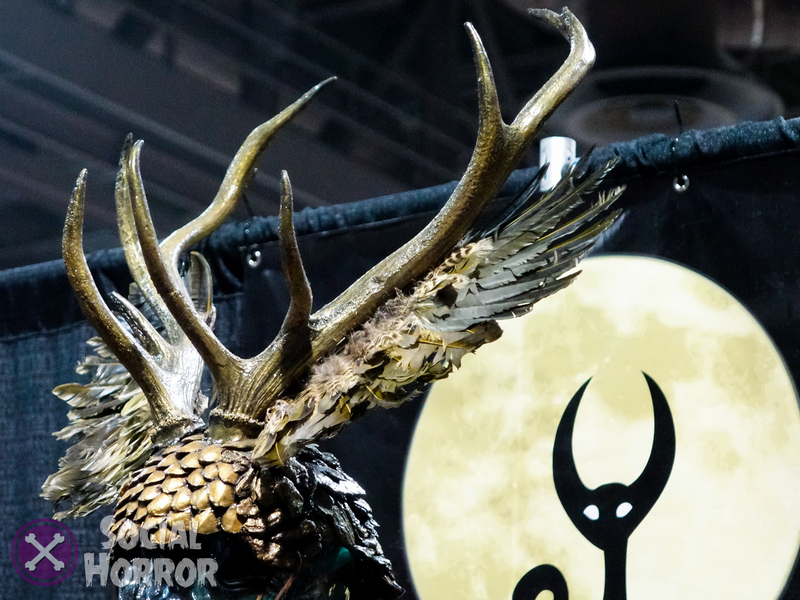 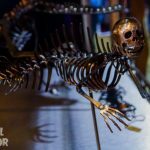 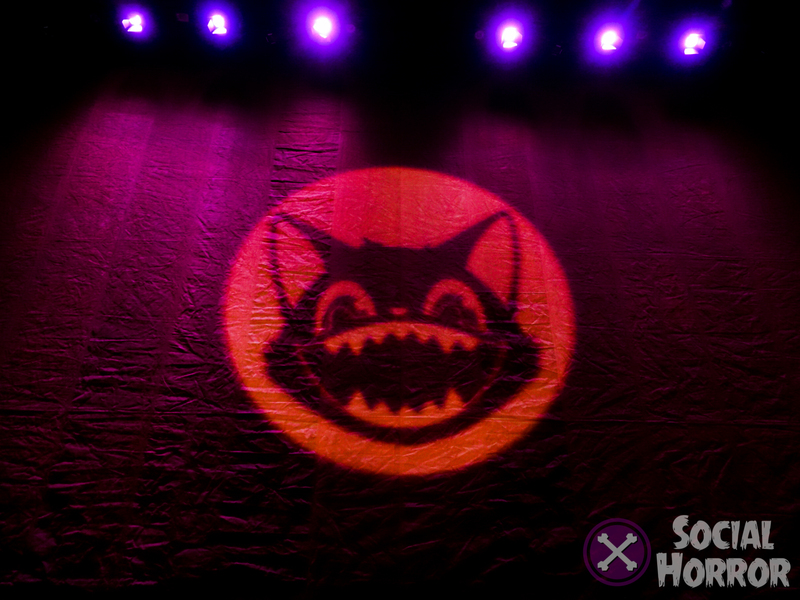 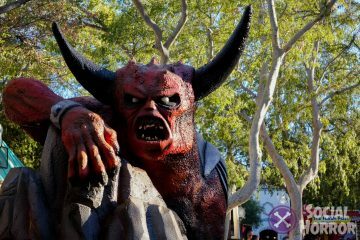 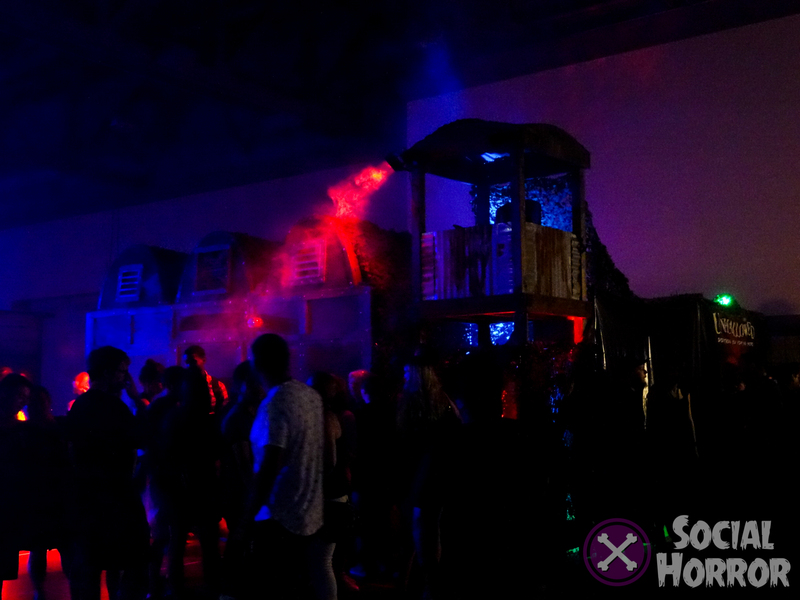 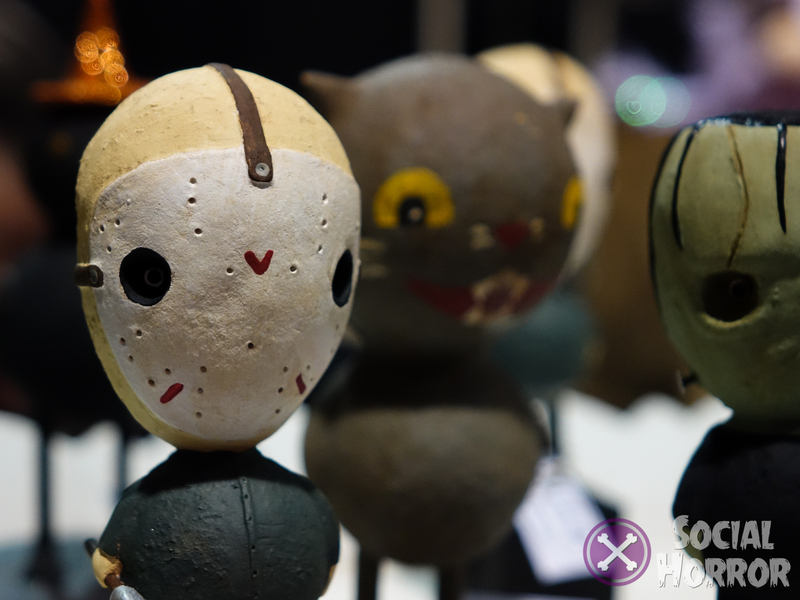 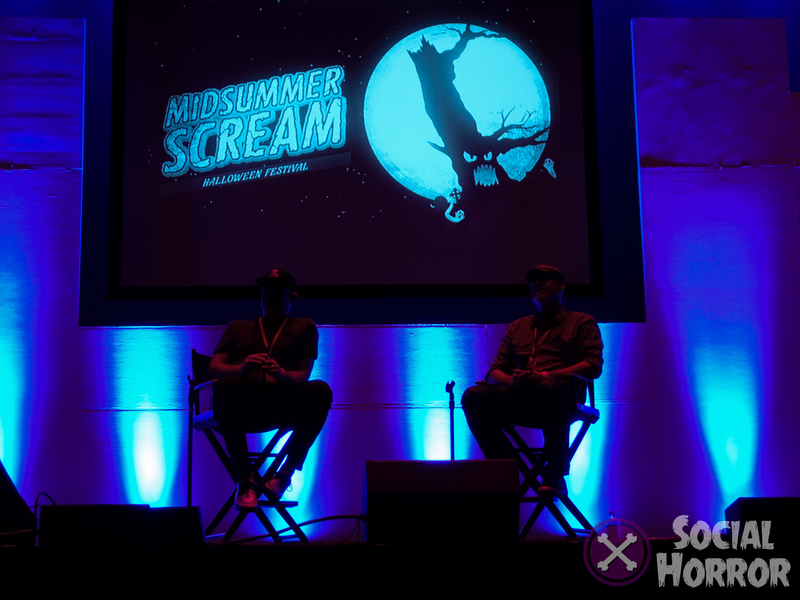 From the overall design—keeping with the traditional and cornerstone imagery of Halloween—to the capture of what’s great about haunt culture in Southern California, and the artistry that goes into creating the scary monsters prevalent during the best holiday of the year, Midsummer Scream promised it would continue to bring all the these things together in a big way. 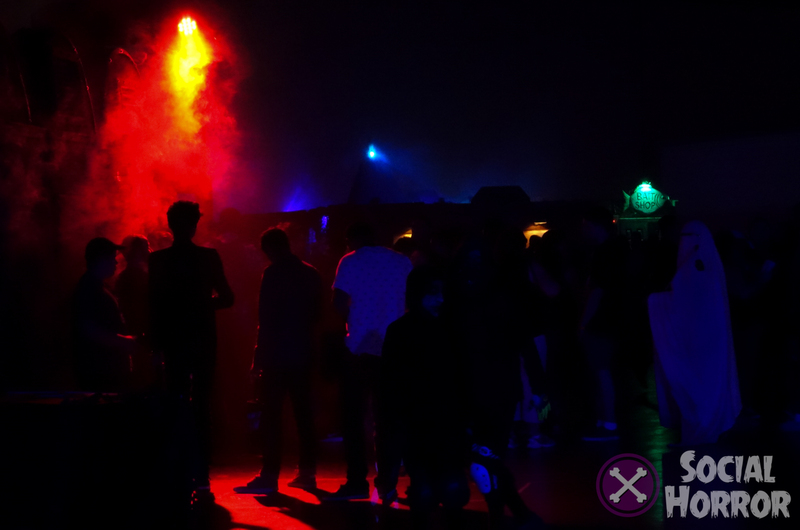 This year was even bigger than the year before. 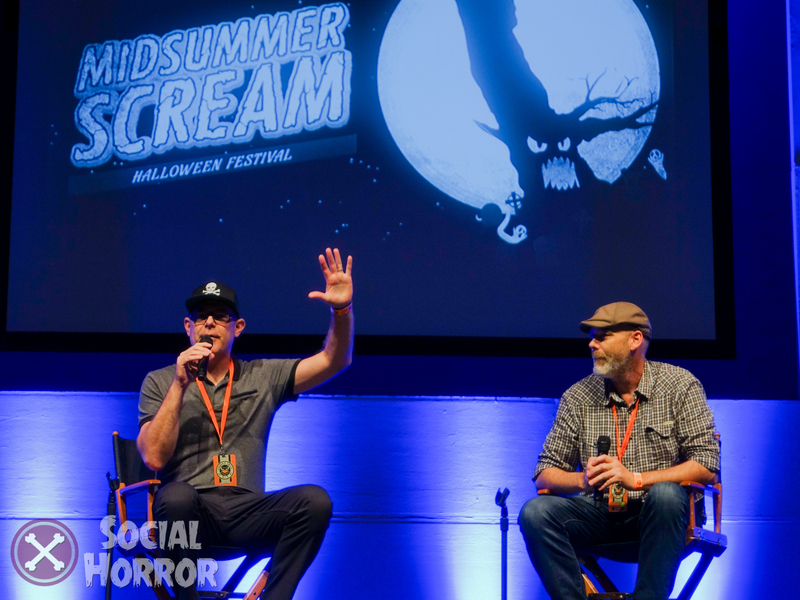 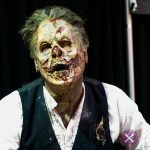 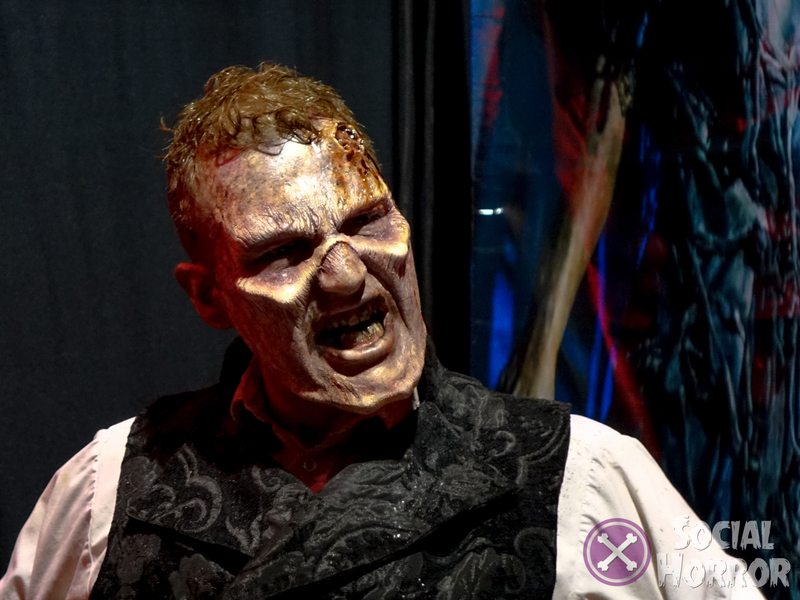 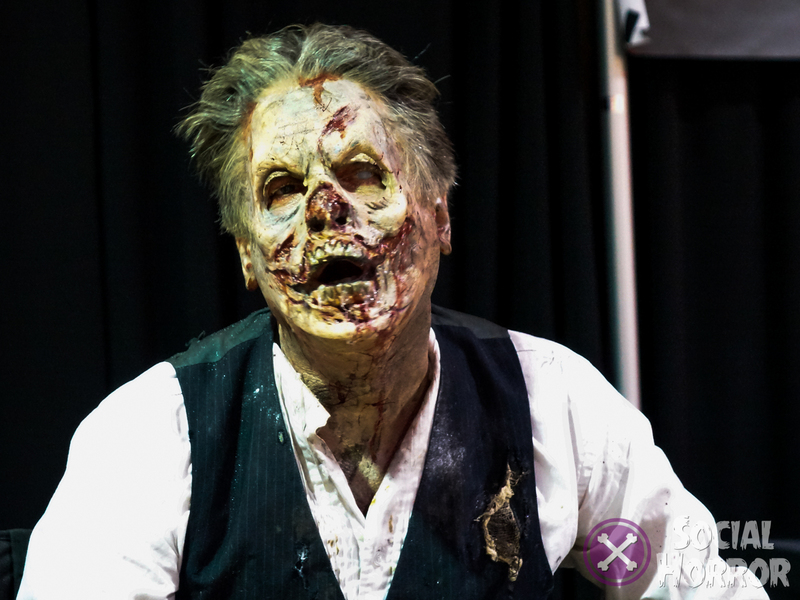 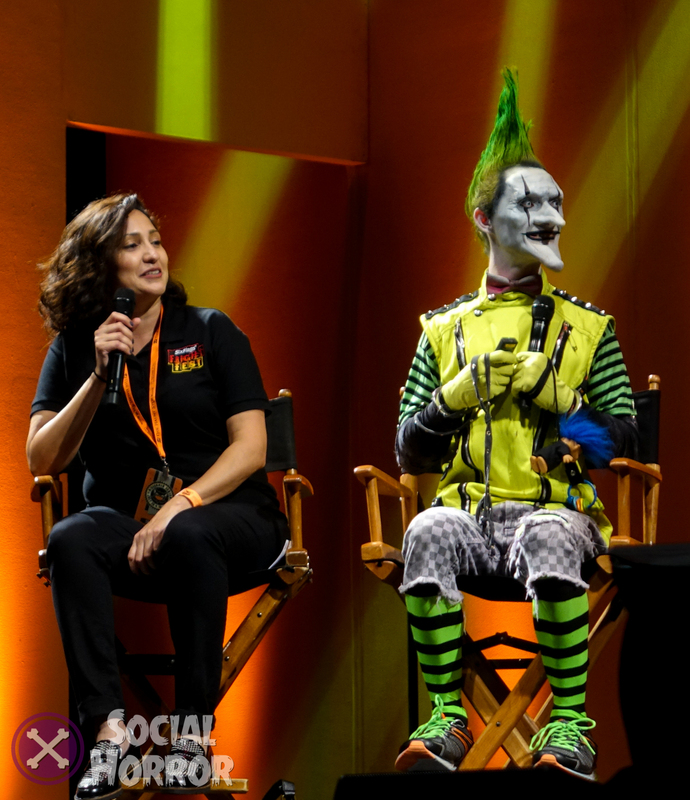 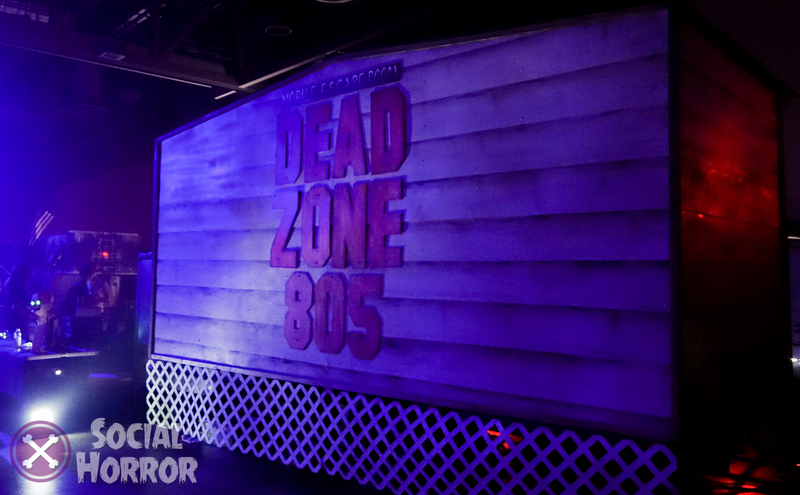 With an estimated 15,000 attendees, there were even more themed panels like the live episode of Blumhouse’s podcast, Shock Waves, large panels on the major-league haunts that looked into the upcoming events and some of the history of haunts in the past. 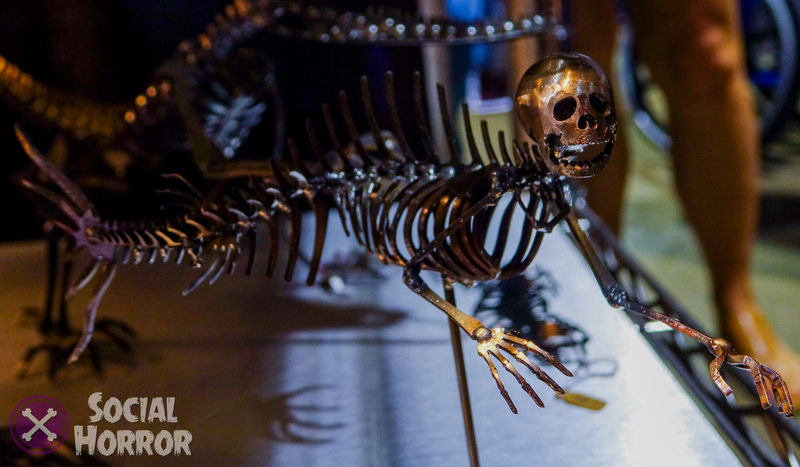 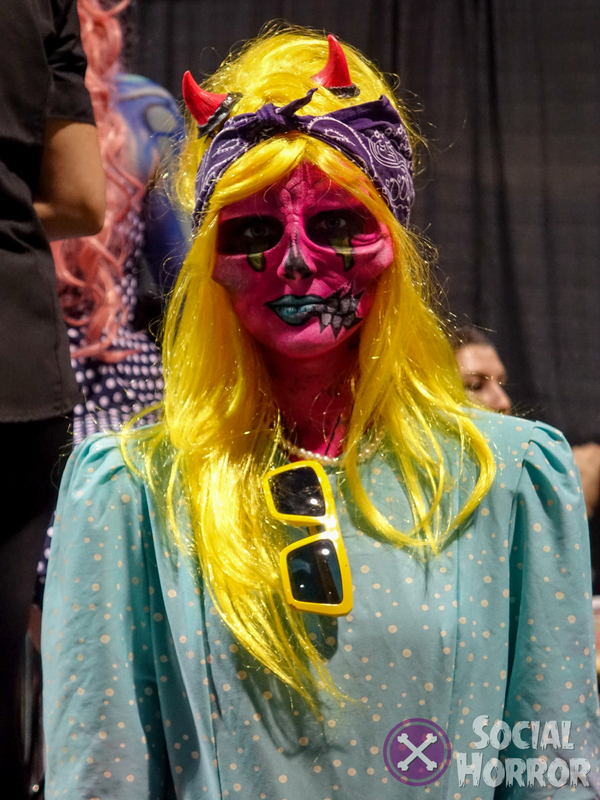 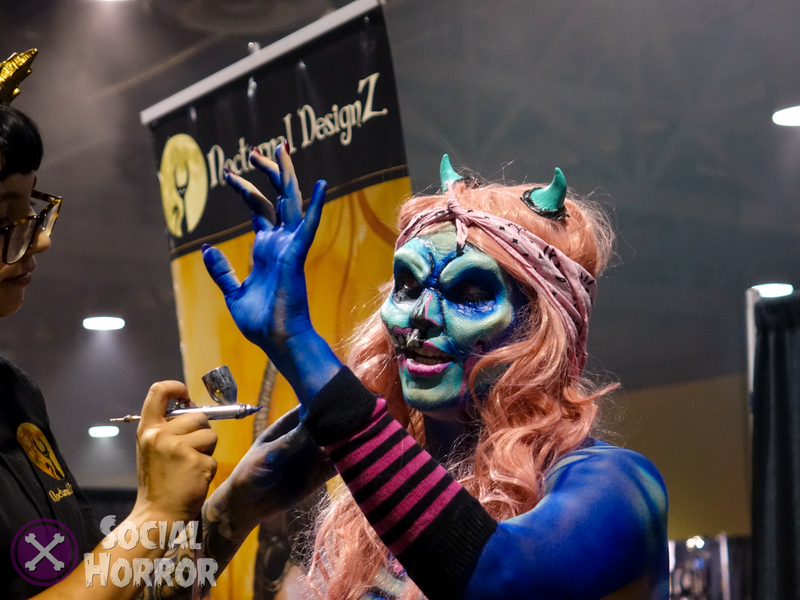 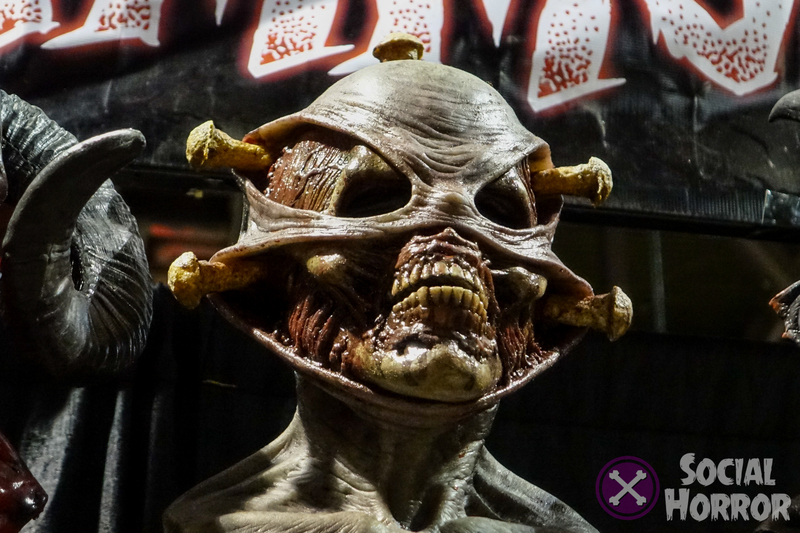 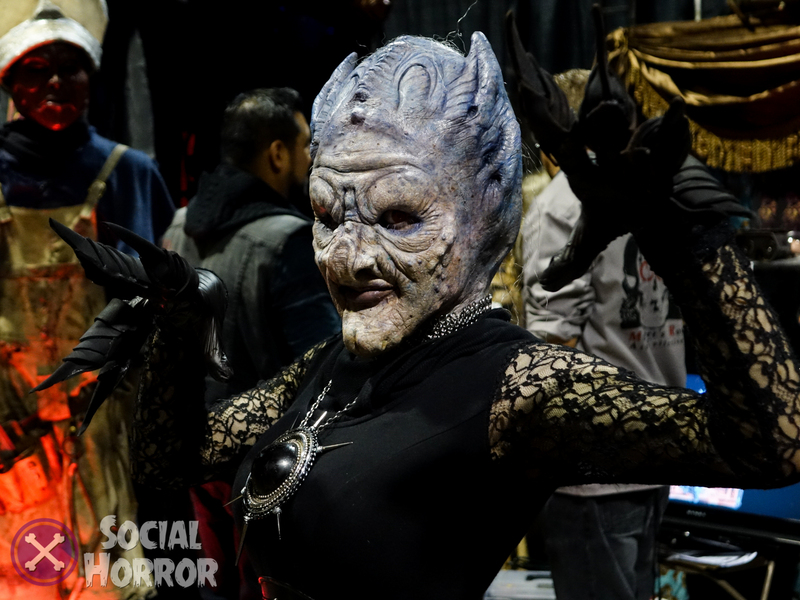 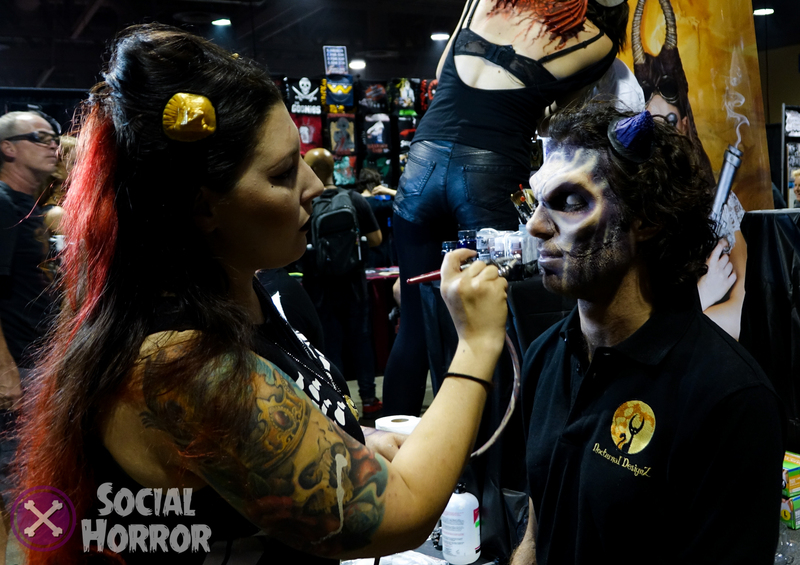 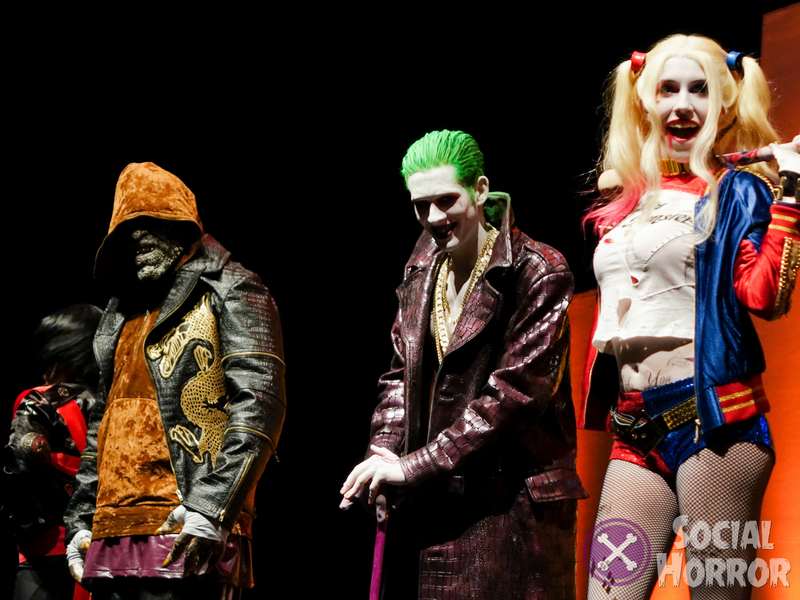 Attendees were captivated by stage performances and walked the halls where monsters live. 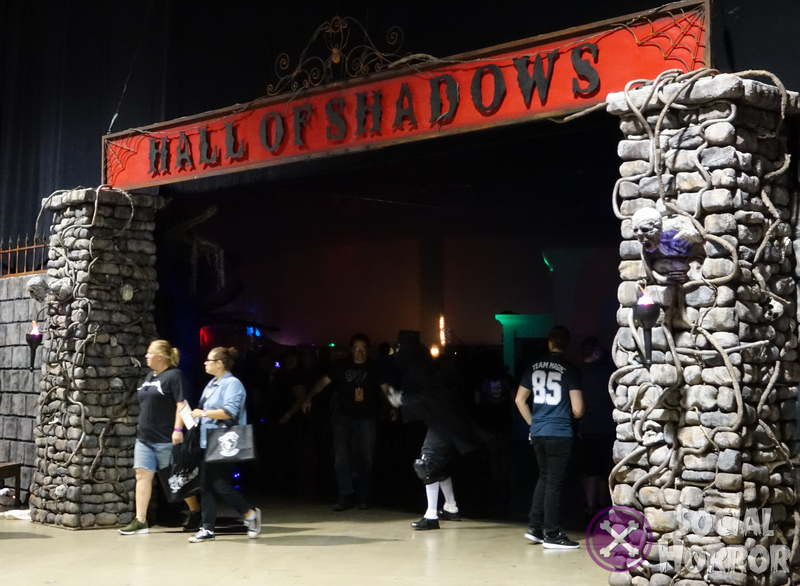 An improvement on last year, the Hall of Shadows had an impressive entrance by CalHaunts, and a really cool graveyard showcase of the awesome skills haunters have in prop design (and of course, I’m always particular to the headless horseman and really cool tombstones). 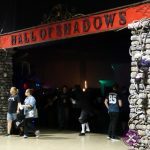 Last year’s Hall was great, but slightly chaotic and difficult to experience all the haunts due to many closures, breaks, and a lot of confusion. 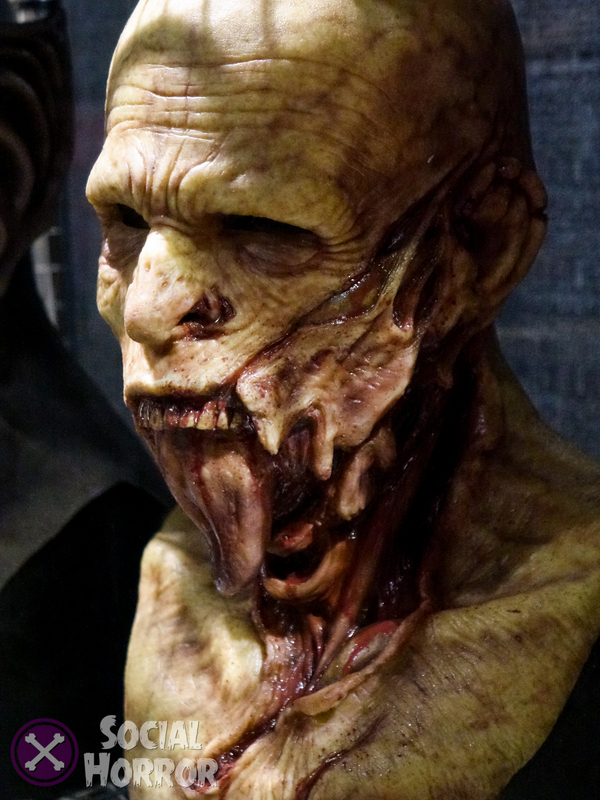 This year of course had blemishes because we’re all human, but the haunts were easy to find and the lines were almost always full. 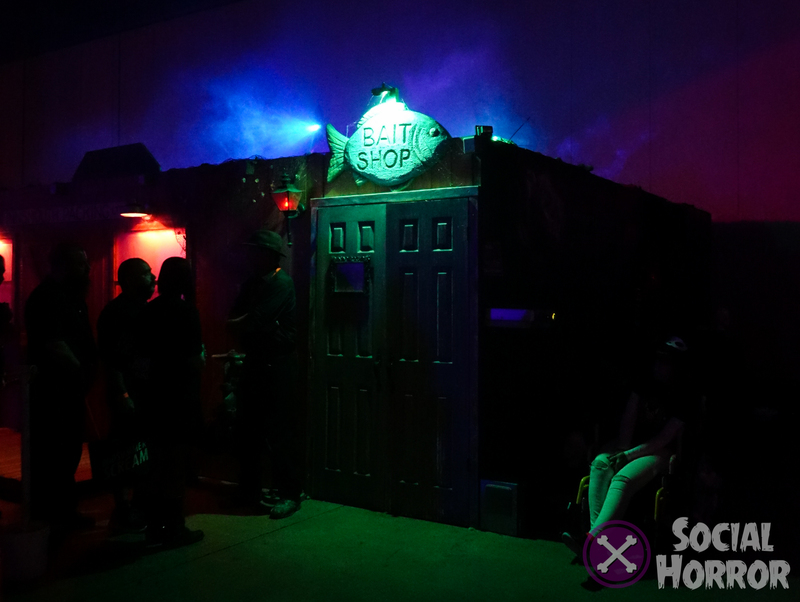 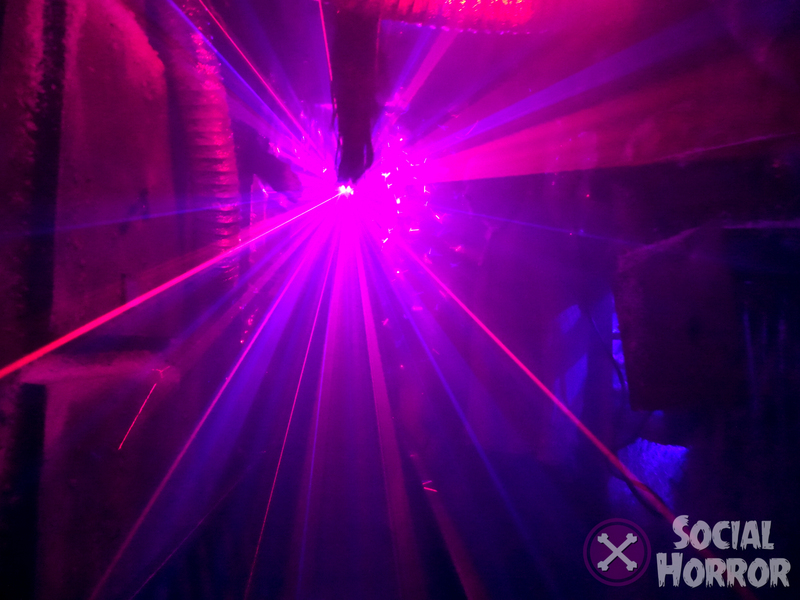 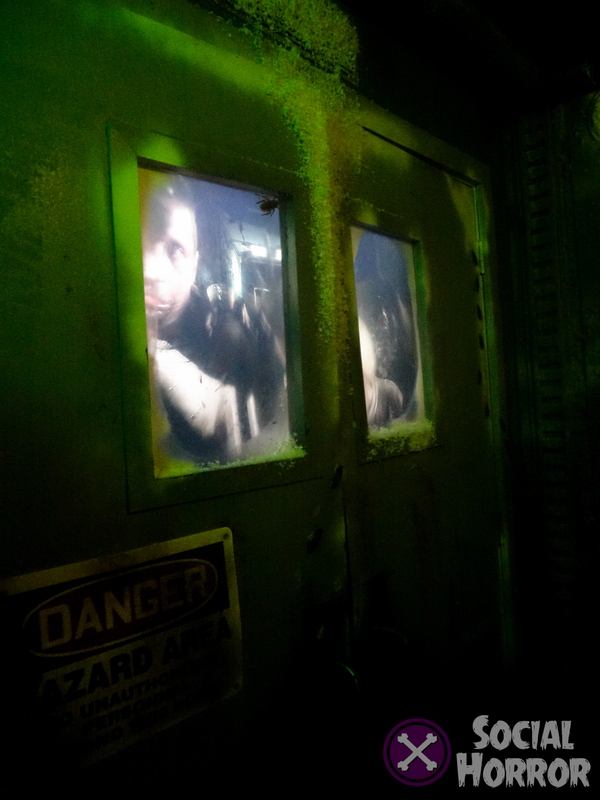 We had the chance to experience a few, and we enjoyed seeing these talented haunters bring haunt fans a little piece of what they can do, even if it meant just a little walkthrough with no monsters. 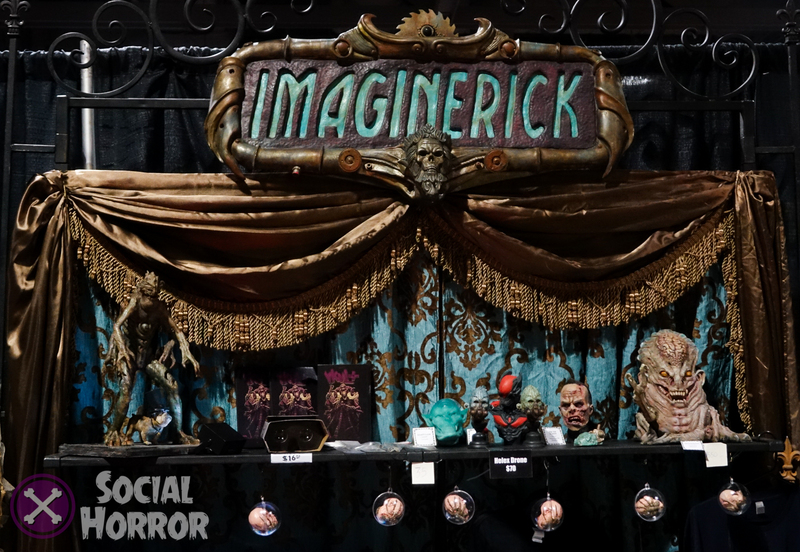 One of the more complicated complaints many attendees and vendors had was that the show floor was crowded. 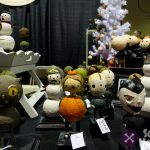 There was a lot less space between booths than last year to accommodate more vendors than last year, and with the massive amount of attendees, moving aisle to aisle was difficult and at times, really inconvenient and uncomfortable. 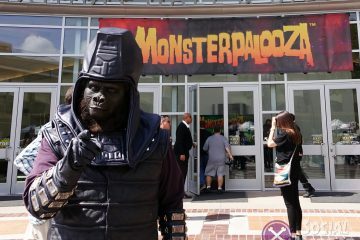 At times, convention staff would stop floor traffic to let others through, but most of the time this wasn’t at all helpful. 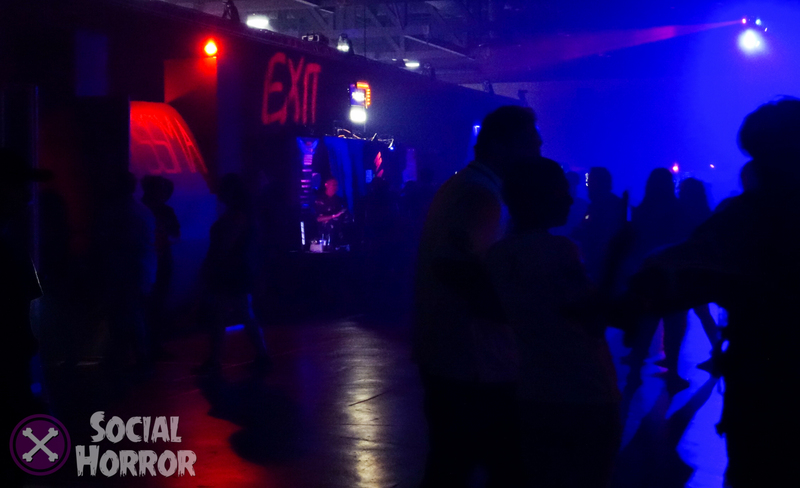 While it was really irritating, especially if you don’t do well with crowds, it’s really one of those good problems to have, especially only in year two of a new convention. 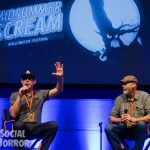 This is great news for Halloween fans, as it signals that Midsummer Scream will continue to expand to fit the needs of the crowds and bring even more great things to this event. 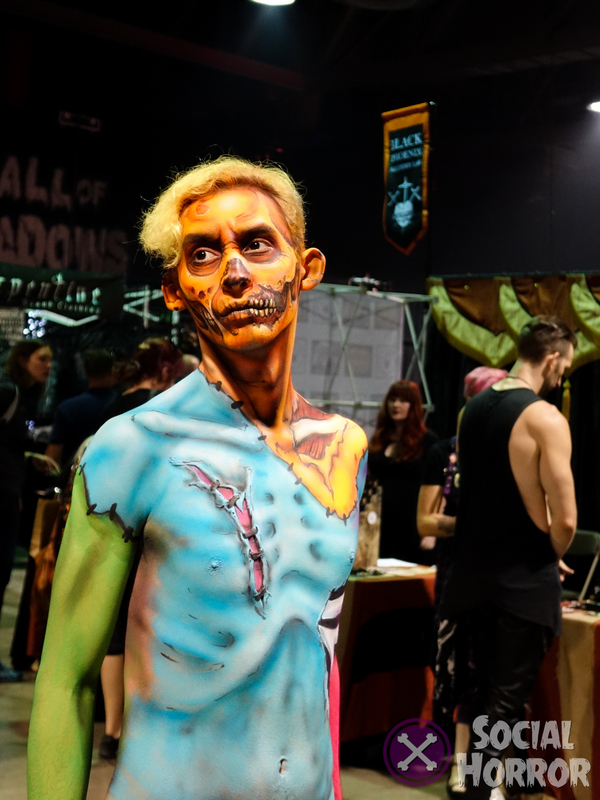 The Long Beach Convention Center is pretty big (224,000 square feet total) and hopefully will be enough to accommodate the rate of growth every year. 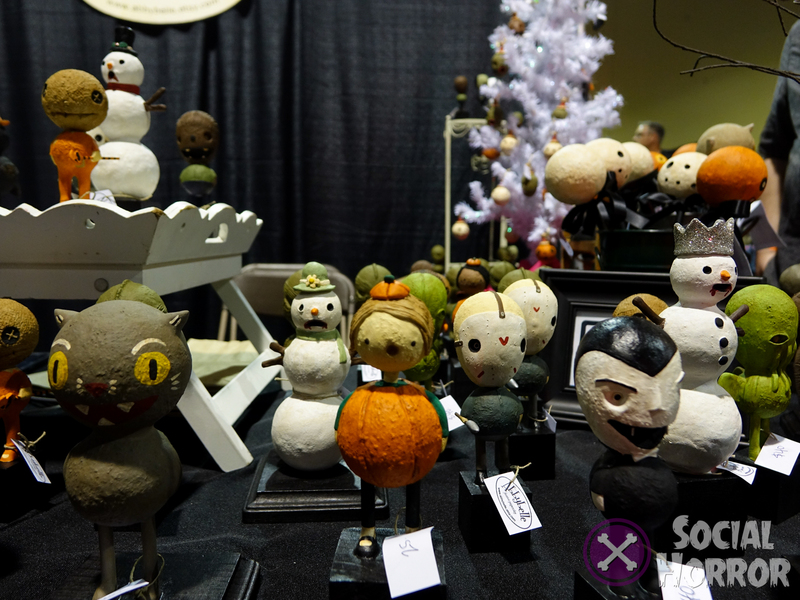 With that, there were lots of familiar faces among the vendors, and even a few new ones. 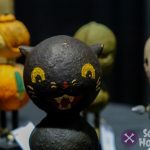 The plethora of Halloween-themed products was overwhelming in a great way, but there was also a great balance and less repetitive products which can sometimes be a big problem at all conventions. 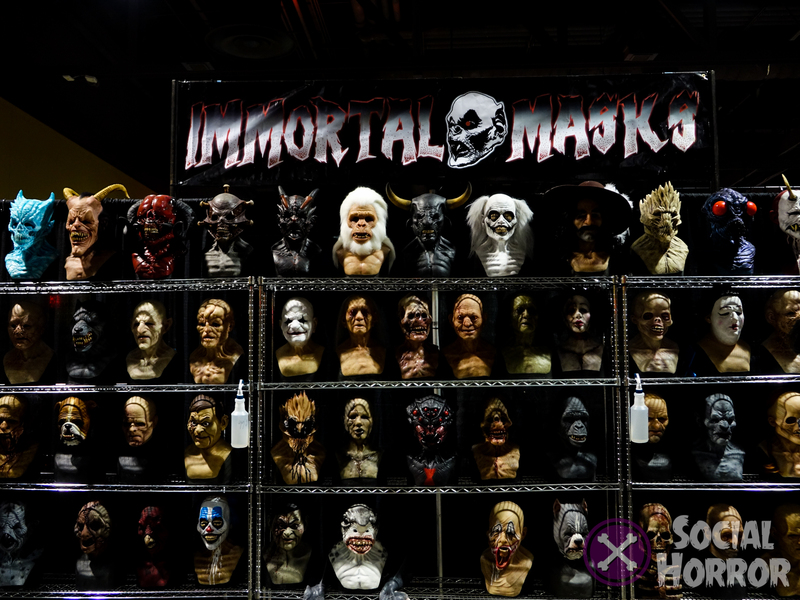 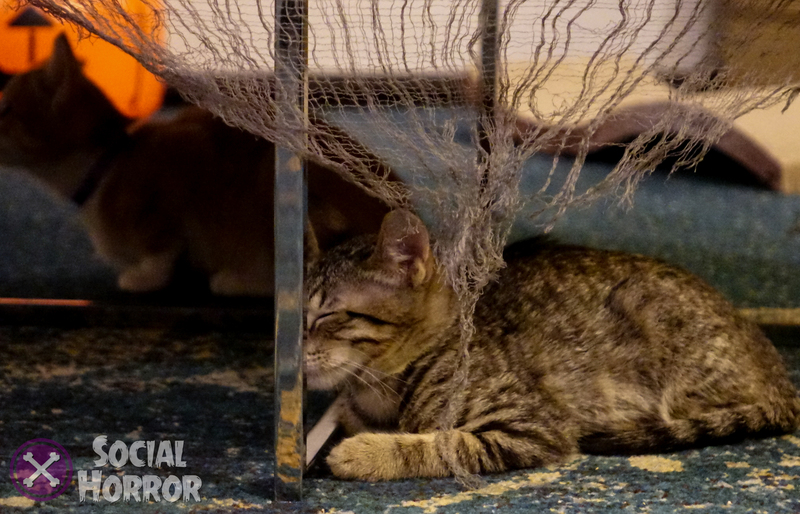 Each of the aisles felt different, and of course, there were so many things to make a Halloween and horror fan’s wallet a little lighter than it was before. 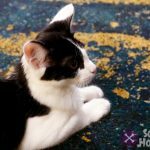 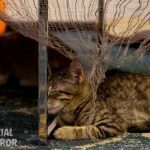 Last year everyone was enamored with the LA Kitten Rescue’s adoptables, but this year it was even better. 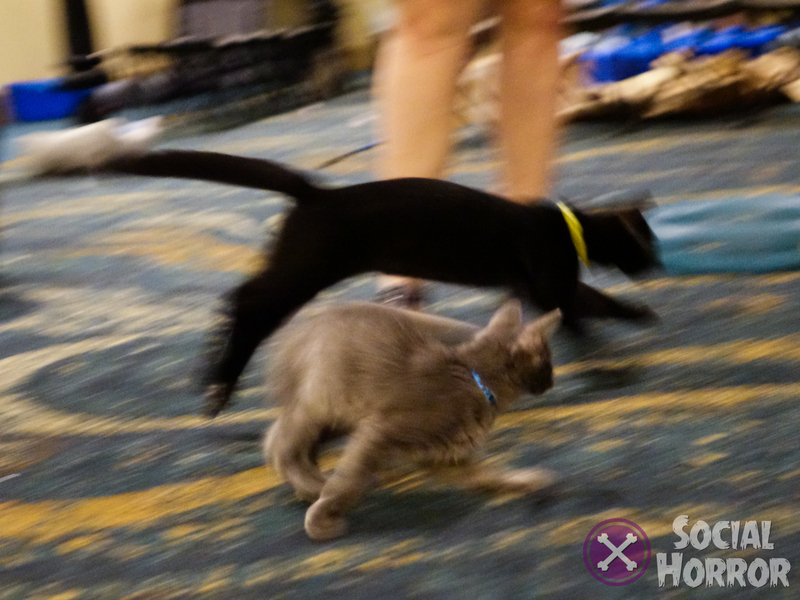 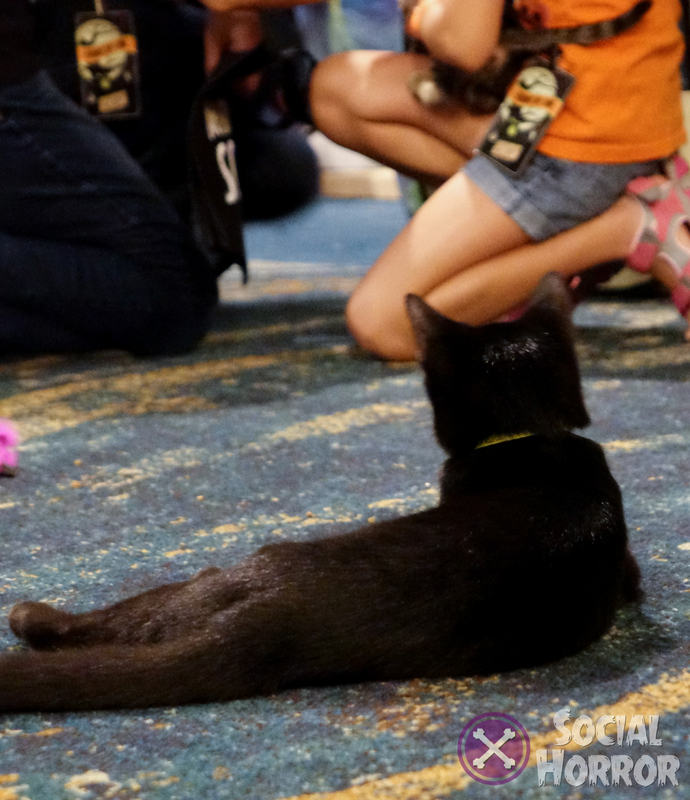 The Black Cat Lounge was absolute kitten heaven. 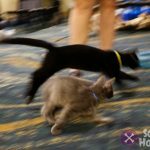 There were so many adorable cats bouncing around, purring, and looking for their forever homes that if we died after, it would have been totally worth it. 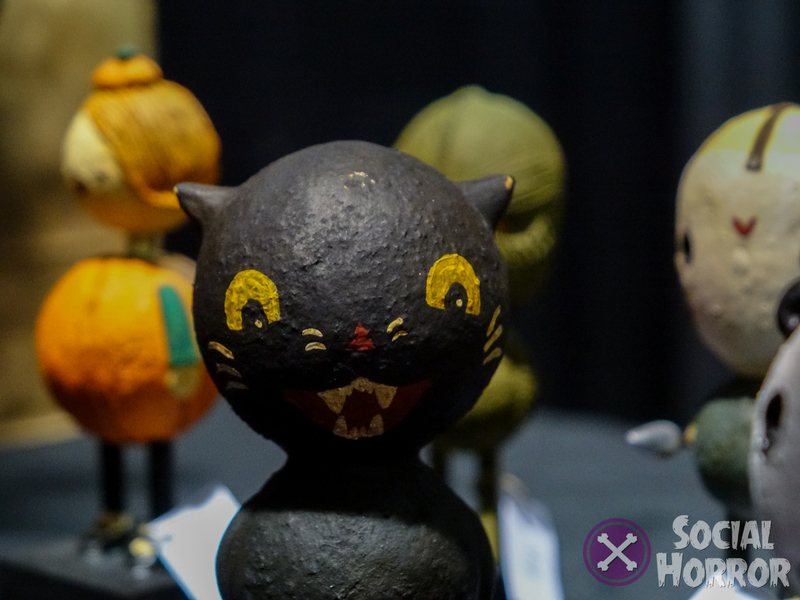 Getting to play with so many kittens would have melted any stony heart and there was a surge of adoption applications and we hope some cute little black kitties (as well as all the others) will have warm and happy homes this Halloween season. 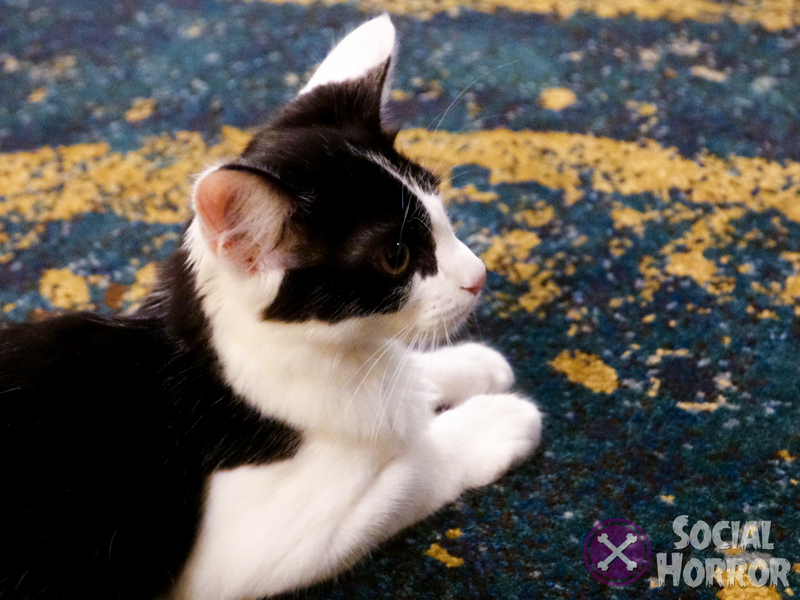 If you adopted a cat this year, send us your photos on Twitter! 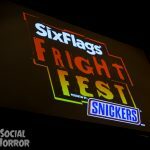 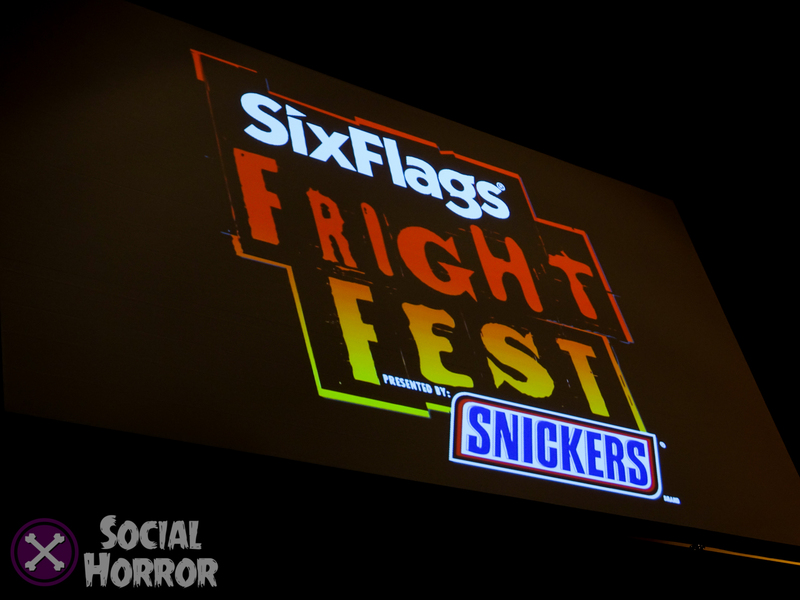 Announcements came in full force last weekend, and we saw highlights from Six Flags Fright Fest, Universal’s Halloween Horror Nights, Queen Mary’s Dark Harbor, and more. 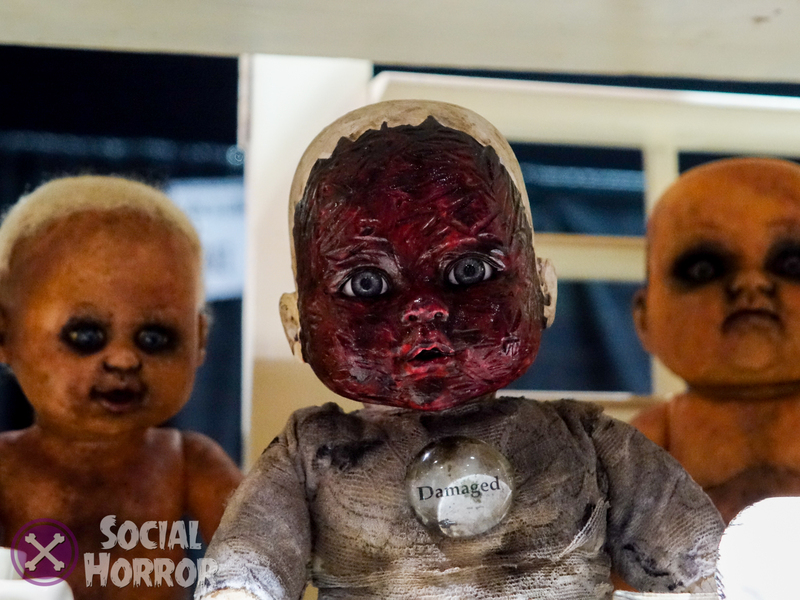 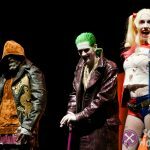 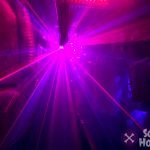 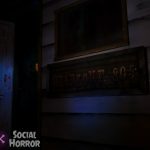 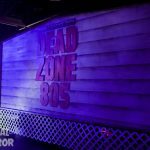 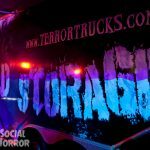 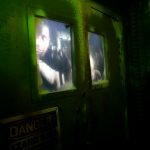 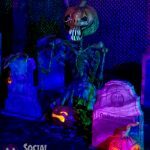 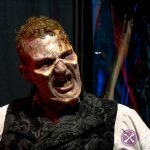 Other big hits this year was a look at the 90s show Are You Afraid of the Dark, and 45 Years of Knott’s Scary Farm, which looked back into the legacy of haunt that was the seed of influence in Southern California’s established haunt culture. 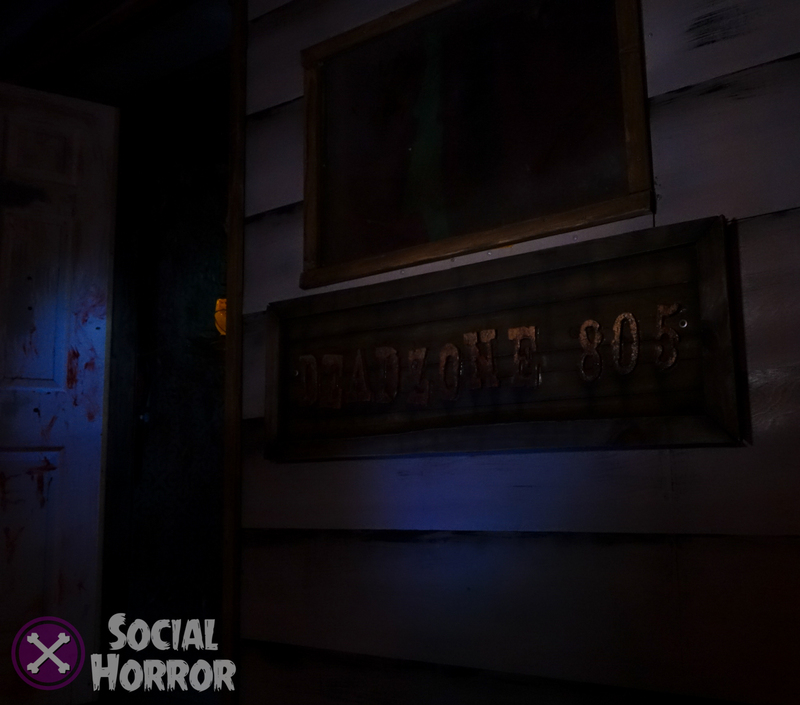 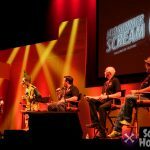 You can check out the full video of Universal’s HHN panel on our Vidme and expect a look into what’s to come for the event soon. 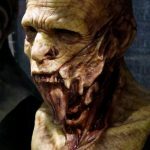 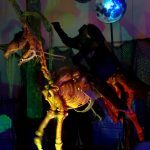 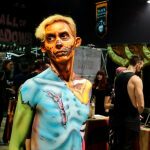 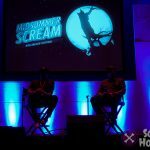 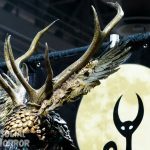 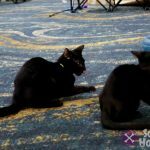 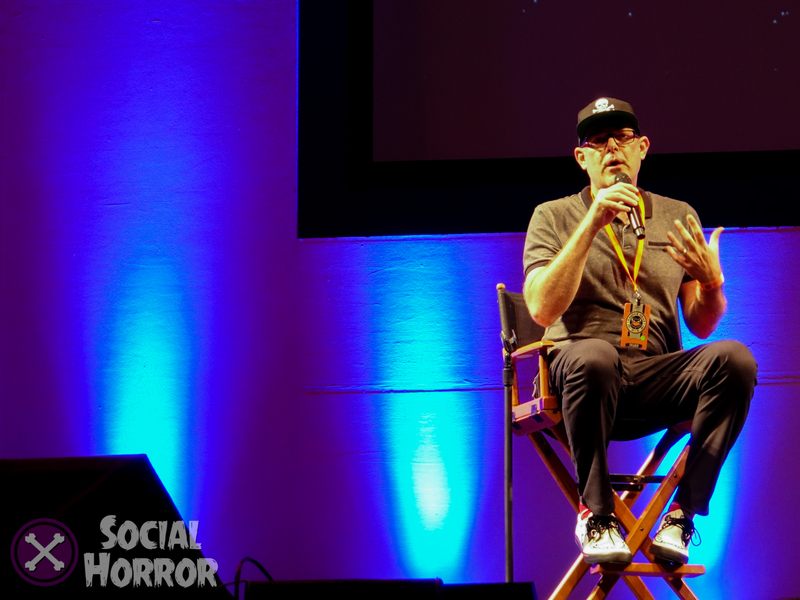 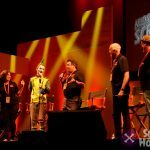 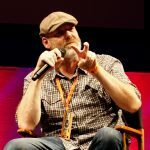 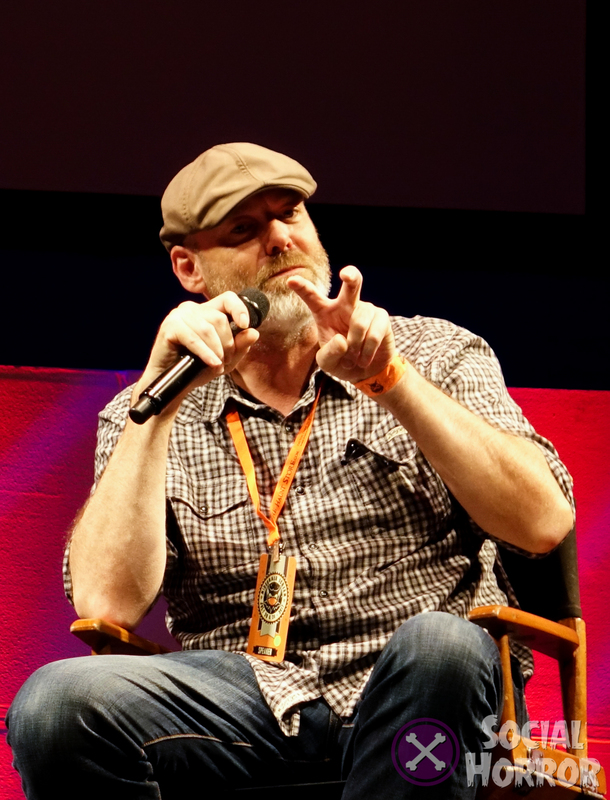 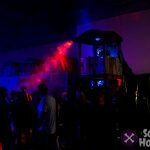 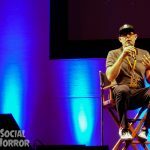 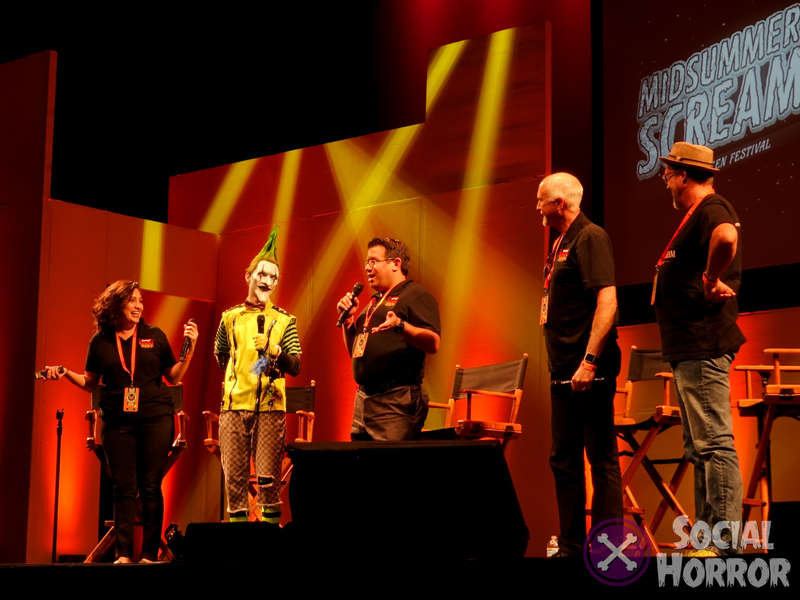 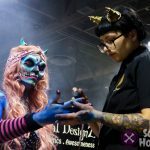 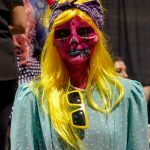 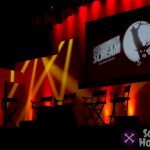 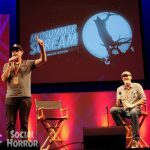 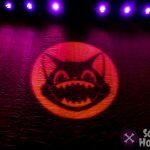 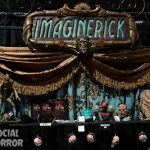 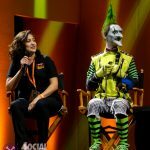 We really don’t have to tell you that Midsummer Scream was big this year, but even in the critiques that come with just about every con, it has to be said that Midsummer knows what it’s doing, and their team of producers not only listen to what fans have to say, they make promises and deliver. 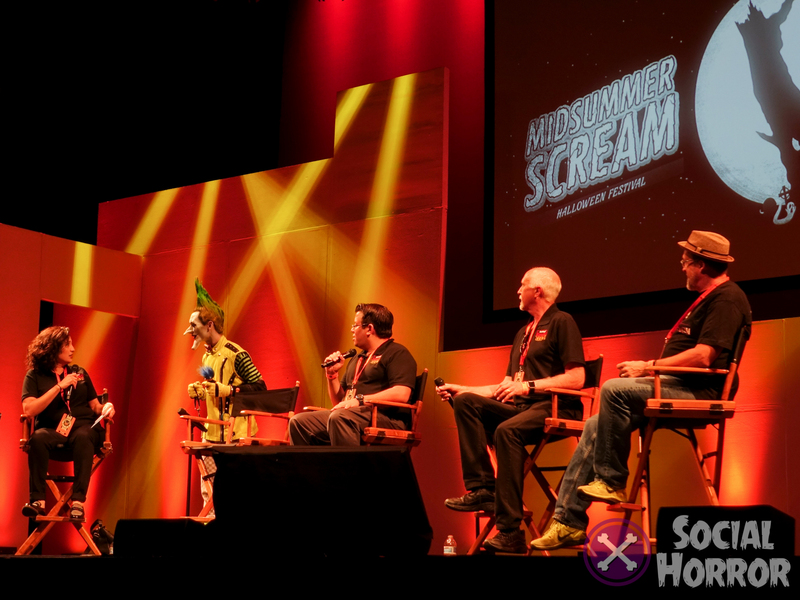 I can’t wait to see this event branch out even more next year and continue to make Halloween in July the refuge from the gross hot summers, silly pool parties, and those annoying Christmas fans trying to put Santa before Samhain. 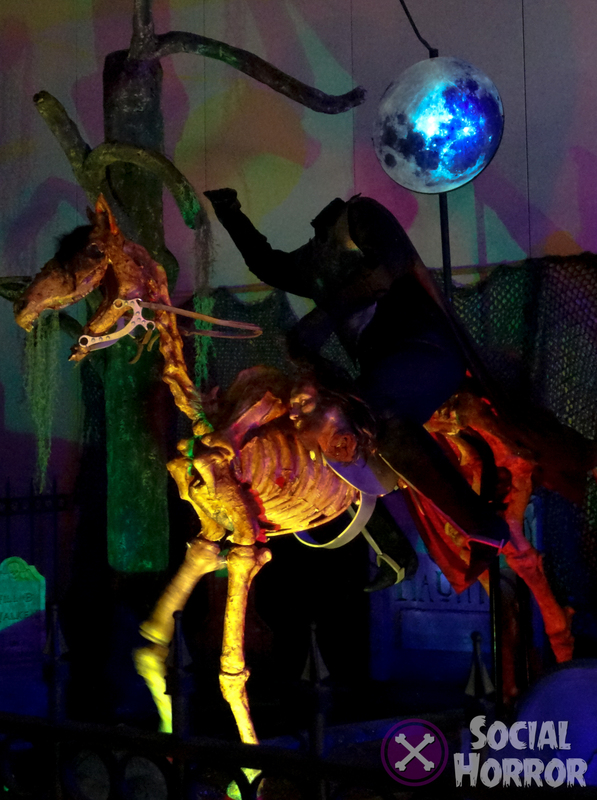 Move over fat man, this is Halloween! 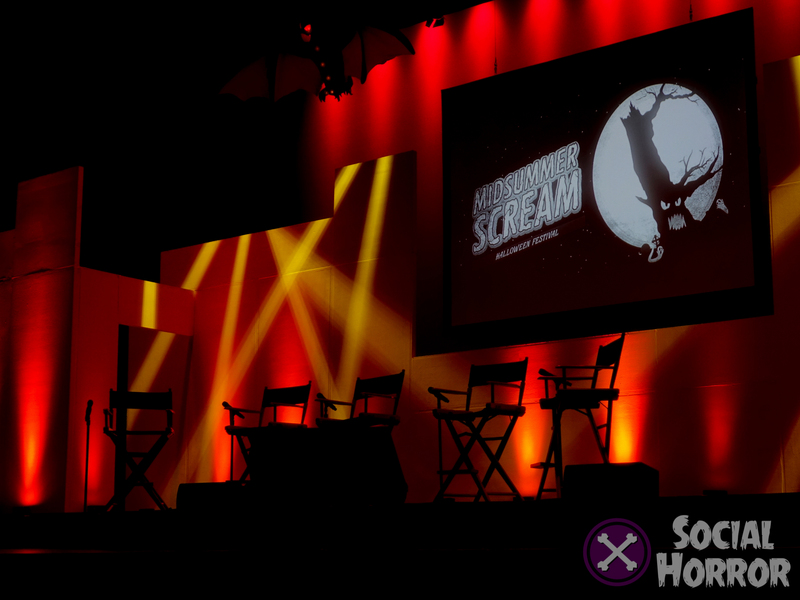 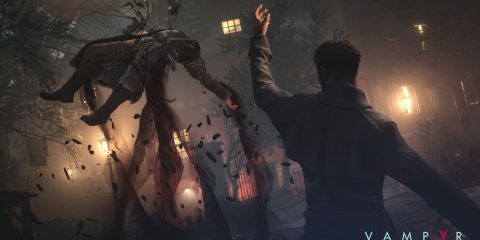 We’ll have more pictures over on our Facebook page soon, and will update this article when more goodness is available! 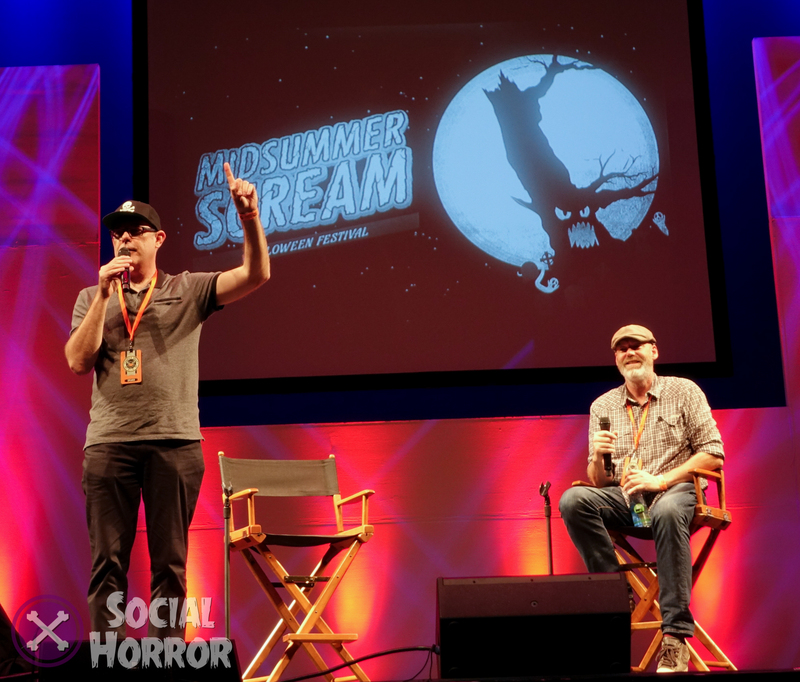 You can check out Midsummer Scream’s page here and count down the days until next summer’s event, and this Halloween will be here before you know it!